Last week General Motors officially proposed a far-reaching “zero emissions mandate” that would essentially force the market into electric vehicles through a system of industry credits enforced by a sort of “Zero Emissions Task Force.” Simultaneously, General Motors has filed to have fuel-efficiency standards based on “historic rates” rather than either Obama era rules or the Trump administration proposal that would freeze requirements, according to a Reuters report. The impression is that GM is now playing both sides of the field. Moreover, the filing states that the Obama-era rules that aimed to hike fleet-wide fuel efficiency to more than 50 miles per gallon by 2025 are “not technologically feasible or economically practicable,” yet based on their zero emissions mandate proposal, an all electric vehicle future is somehow an easier target. This is despite evidence that “affordable” electric vehicles make little to no profit, and are largely unattainable for entry-level consumers, based on MSRP. Hence the $7,500 in total available federal tax credits put into place by the Obama Administration. It’s going to take an awful lot of V8 pickup truck sales to subsidize GM’s electrification projects. To that end, General Motors has been lobbying Congress to lift the existing cap on electric vehicles eligible for that tax credit. Currently, the credit phases out over a 12-month period after an individual automaker hits 200,000 electric vehicles sold, which the automaker is getting close to breaching. The first-generation Chevrolet Volt was the first GM product eligible for these tax credits when it went on sale in 2010. 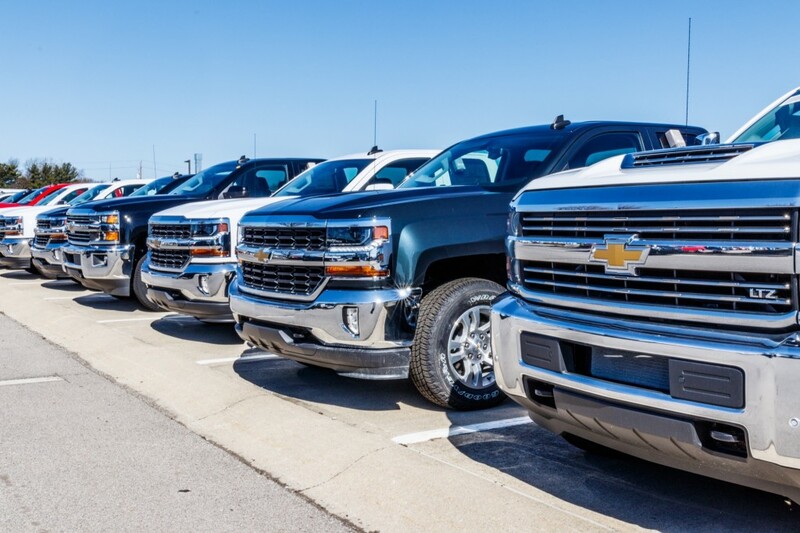 As far as historic rates are concerned, General Motors claims that corporate average fuel economy has increased on average of one percent per year, according to the filing. To compare, the Obama-era rules, effective in 2021, call for an annual increase of 4.4 percent in fuel-efficiency requirements from 2022 through 2025. The Trump Administration proposal freezes standards at 2020 levels through 2026 and is estimated to save the industry in collective regulatory costs by more than $300 billion. It would also stop states like California from requiring automakers to sell a rising number of electric vehicles or setting emissions rules from state to state, which has been criticized as a violation of state’s rights. GM is a pathetic automotive manufacturer. Propose a Zero Emission Mandate, yet… you lobby against fuel economy requirements… you can’t have both green pastures. Just produce electric vehicles sooner, to rid yourself of the burden of doing it later. how many EVs are you going to buy ?? I’ll be buying a Tesla Model 3 in 2yrs. Once my current car is paid off. Where I live, it will not be economical to have a traditional ICE vehicle. you must love that 3 because in two years, just about every other manufacturer(except gm) will have a $7500 cost advantage over tesla. Your question shouldn’t be how many. It should be how soon. Let me take a guess. The fuel mandates don’t allow for more powerful and silly huge monster trucks with outrageous profit margins to subsidize the EVs that you aren’t wanting to scale up production of to try and compete with Tesla. That’s too hard…..
WTF some dumb F is asking for more regulations from the government. What GM needs to do is start requiring the management to wear helmets. Let’s prevent further damage. Nearly 2 billion children – about 93 percent of the world’s children under the age of 15 – breathe toxic, putrid air that’s so polluted it puts their health and well-being at serious risk, a new report said. Many of the children die: The United Nations’ World Health Organization (WHO) estimates 600,000 children died in 2016 from lower respiratory infections caused by dirty air. Air pollution can affect children’s cognitive ability and can also trigger asthma as well as cancer. Children who have been exposed to high levels of air pollution may be at greater risk for chronic illnesses such as cardiovascular disease later in life. And who do you think is mining all of the precious metals in Africa needed for EV batteries? This was among the biggest failures of the Obama Administration as they pushed for ever higher fuel efficiency standards which was impossible to achieve as Obama wanted the industry to push for zero emissions vehicles because conventional powered cars had reached their current technological ceiling and wanted the industry to adopt zero emission vehicles; but the Obama Admin failed to take steps to upgrade the US power grid, talk to world car manufacturers to adopt an universal charging system or even start to consider what type of infrastructure would be necessary so electric vehicle owners could recharge their vehicles as convenient as refueling a gas tank. Typical politician. Spew incoherent drivel and pass laws about issues that they don’t understand, then disappear back under their rock after the photographers leave, never giving another thought about what they have done making life harder for all in meeting the requirements of their new legislation.